314 people have bought this item! Designed to meet the demand for economical impact resistant protection. Durable, Partially Breathable and ideal for floors, worktops and other hard surfaces. Buffalo Board is 100% recycled. 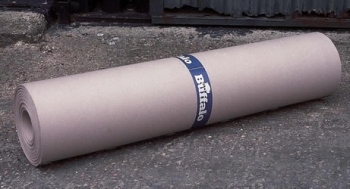 Buffalo Board Protective Sheeting (1m x 50m) - 500 . . .
Buffalo Stair Treads - 1100mm x 310mm (price per 1 . . .
Buffalo Board Protective Sheeting (1m x 50m) - 750 . . .
Flame Retardant Woven Polypropylene Sheeting (2m x . . .